The final decision regarding the location of the match for the World Champion title between Viswanathan Anand and Magnus Carlsen will be made at the FIDE Presidential Board, that will take place in Baku on May 5-6, as announced by the head of the International Chess Federation Kirsan Ilyumzhinov in his recent interview with "Sport Express". In the same interview he pointed out that FIDE did not receive any other host bid than from Chennai or any official protest. 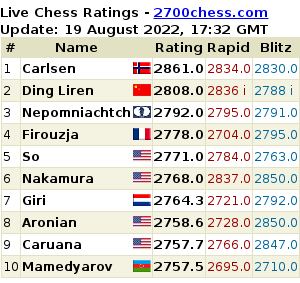 Carlsen's manager Espen Agdestein disputed these facts on the website Chessvibes: "Of course they have not received a bid other than Chennai yet, because there hasn't been a bidding process! We know that other cities are also interested. To have an open bidding process is better for players, for FIDE and for chess in general." Agdestein also commented on Ilyumzhinov's statement on the lack of official protest from Carlsen. "I wonder what he means by "official". We sent letters, and we spoke to them. Just before Magnus and I went to New York, I was actually in Athens [at the FIDE office] with my lawyer and there I talked to FIDE representatives, for example Georgios Makropoulos and Israel Gelfer. We made it very clear that we are not happy with the procedure. 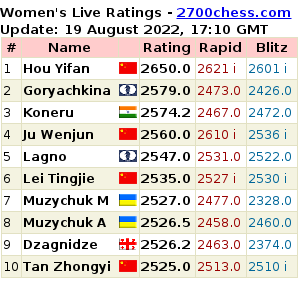 We were very surprised when FIDE made an agreement with Chennai right after the Candidates' Tournament." In the recent interview on Chess-News Magnus Carlsen preferred not to comment on the news that FIDE didn't get a single bid for holding the World Title match.